Fresno born and Philly raised, Hazey Autumn follows the music everywhere she goes! Best known for her jazzy, alternative-rock style with an edge. 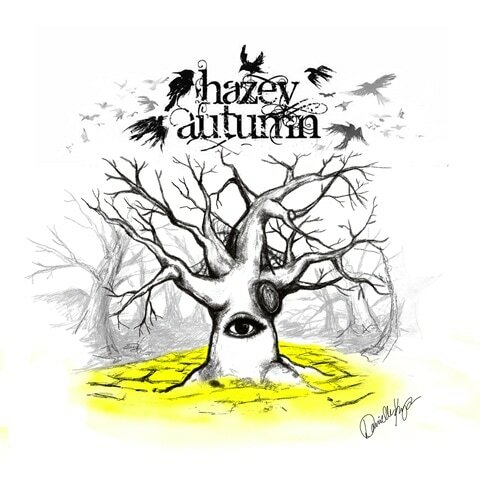 It was a pleasure working with her as she noted every detail that she wanted into her debut self-titled album "Hazey Autumn". I am so happy to know the meaning behind every detail into this cover and can't wait to see where she goes from here. Phyllis Herman (aka Jenny Rae of Lil Rae Cakes) is one to know when arriving Disneyland during the unofficial event, Dapper Day. This Dapper Day attender sparks fabulous with flare! These pieces were to help promote a great nonprofit exotic animal sanctuary, Animal Tracks Inc, along with it. In order to bring awareness to this great sanctuary, Phyllis Herman created a funding for her music video cover of "I wanna be like you" from the award-winning Disney classic "The Jungle Book". To help fund the video, we came up with a quirky, caricature sticker-pack for her GoFundMe to help raise money. With every $10+ donation a person makes, they would receive 3 monkeys and a Phyllis UV protected and waterproof sticker pack. It was such a great experience to work with her. I hope you all check out Animal Tracks and Lil Rae Cakes! Acrylic on canvas; 11 in. x 14in, 2016. Digital logo design done in Illustrator and Photoshop in commission for Verii Social. The concept was to have a rustic old butterfly spark and regain energy, as it is trying to fly again.